I remember as a kid thinking how cool it would be to be an archaeologist and look for old bones, treasures and artifacts from past civilizations. Indiana Jones was the archaeologist super hero that every boy wanted to be like. AND everyone wanted to be Goonie, looking for lost stuff. As a kid and even today at times…pictures like these made me want to go dig in my back yard to see what I could find. Recently there has been a discovery of more modern artifices from the early 1980’s. 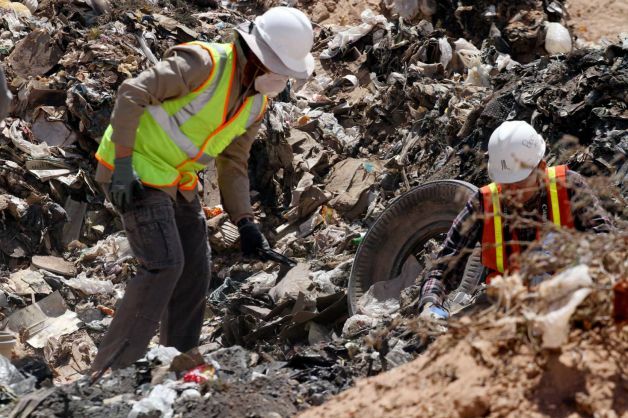 Apparently, Atari made a game that has been dubbed “worst video game in history.” In an effort to cover up their epic failure they dumped over 700,000 games in a New Mexico landfill. Someone set out to uncover the mystery and went on a quest to uncover these missing games. (USA TODAY ARTICLE). Going through the pictures of the archaeologists digging to find this new “treasure”, I was disturbed by the pictures and the contrast of previous archaeological dig pictures I’ve seen growing up. Is this what “future treasure hunters” will have to dig through when they go to discover artifacts about our civilization? Count me out! Throw Back Thursday: He’s proud of you dad! Wrote this post about 3 years ago as my Ella was in Kindergarten. She’s finishing up 2nd grade now. I have learned so much about God’s Love for us since I have became a parent. Be encouraged! Been meaning to share this for a couple of days. I pray it’s an encouragement for you. 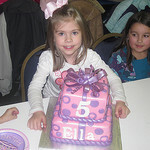 Ella is five. She’s started kindergarten this year. I dropped her off at school Tuesday morning and she didn’t want me to walk her in. “Dad! I’m a big girl, I know where to go. I can do it myself!” So I opened the car door for her and watched her disappear through the double doors into the building. It’s hard to believe how fast she is growing up. Even though she’s big enough to walk to her class by herself she says she still isn’t big enough to sleep in her bed all night. That’s why around 4 o’clock EVERY night she gets in our bed. Tuesday morning she woke up and asked if she could just lay with me a little longer before she got ready. She put her arm around my neck and began scratching the back of it. She was laying silently, I could see her wheels were turning, and then she gave me this piece of advice. “Absolutely! Of course He is. What makes you think that though?” I answered. We laid in silence for a bit….then she started again. Nothing like an honest piece of encouragement from a 5 year old. Hopefully you know that regardless of how you feel or what kind of day you’re having, He’s proud of you too. God’s made you special, and specifically for a purpose. Once your start that relationship with Christ, His work begins in you and you begin the work He has for you. And that makes Him proud to be your Father. Six & 1 (pt 1): He said STOP! He’d been at it all day every day for the last 6 days in a row. He’d accomplished everything he’d set out to do that week, and some of the goals were pretty momentous. Everything he’d done the past several days had built up to this moment…Now all that was left was to stop, rest, and enjoy everything he’d accomplished. I think our culture is tired, our families are tired, our church members are tired, our pastors are tired…We ARE ALL tired more than we have ever been. We have all these gizmos and gadgets, microwaves and drive through, DVRs and downloads, e-mails and messengers; all things that are supposed to give us more time to rest…but for some reason we still don’t. In my attempt to read through the bible this year, I am finding that God is concerned about our daily and weekly schedules. He is a God of order and wants our lives to reflect that while accomplishing our endeavors. However, he’s also just as concerned about our ability to rest as he is about our ability to work (maybe even more so). He EVEN RESTED and intends for us to reflect that as well. In Exodus 16, God first declares His desire for His people to enjoy a Sabbath… a day of complete rest. God gives them SIX days to gather manna (bread) each morning to eat. On the SEVENTH day he instructs them to stay home, rest, and NOT go out to gather bread or do any work. Sabbath actually means to “cease from work.” Before God gave any of the 10 commandments…He gave them instructions to observe the Sabbath. I am by no means an expert on this…nor am I observing the Sabbath like I should or want to. It seems like the moment you begin to work in some areas… the harder it becomes. 1. The Sabbath is a GIFT TO ENJOY – Exodus 16 Before their escape, God’s people had been enslaved in Egypt for hundreds of years probably without a day off. As part of their “benefit package”, that came with a the renewed relationship, they would now get a day off every week to do nothing. God has given us the Sabbath to enjoy; a day of complete rest from our ordinary work. Every good and perfect gift comes from God. And this is an important one! To not take a Sabbath day of rest is an act of ingratitude. 3. The Sabbath is a COVENANT REMINDER – Exodus 31 God reminds the people once more…again to rest on the Sabbath and to keep it Holy. This time informing his people that it is set up to remind us of the covenant between Him and his people for generation after generation. Every time time we observe the Sabbath it gives us a chance to stop and think about our relationship with God and with others. It’s often hard to think about the things that have value in our life when we our constantly running. Taking a Sabbath…a FULL DAY of COMPLETE rest…I believe could be the antidote to a lot of the stress and worries we have in our society today. If you’re not taking one weekly (like me), it can be difficult to start. Don’t worry … I have more to share later on to help us get on the right track! I wrote this blog in January of 2006 as we were on the brink of experiencing parent life for the first time. We are now a couple of weeks away from having our 3rd little girl. It’s funny, really. When we were first married I wanted 3 kids. I was younger then, much more eager and energetic. After Addison, our second, I was A-OK with only two kids. But now, the excitement grows as Jennifer and I prepare to be outnumbered for the rest of our life. Reading back through this…I felt all the same emotions with Addison as I did with Ella. Now that we are just weeks away from “Baby Girl #3”; I’m experiencing them one LAST time all over again. The lyrics to the song are even more true for me today than they were 8 years ago. God is so very good! I don’t really know how to put into words all that is going on in my head and my heart right now. My whole world is about to change. My life will never be the same. As the birth of my 1st child, a girl, these realities are hitting harder and harder with each passing. I’m excited….to finally have a child of my own to love and to be loved by. I’m nervous….of getting it all right. I’m afraid……I’ll make mistakes that will leave lasting impacts. I’m sad………Because I will never have my wife all to my self ever again. Will I ….be able to give her the love that she needs….be the father that she needs…continue to stay as close to my wife as I have been. It’s really scary as I think about it. I’m not so much worried about the whole physical aspect of raising a child as much as providing the right emotional and spiritual care. Even in the midst of all the doubts and worries, I am going to try my hardest and give it my all to be the father and husband that I need to be. I know I can’t be perfect and get it all right, but I ‘m going to try. She is going to know she is loved, she is going to know that she is important. Just when I think I have life sort of figured out and getting sort of a routine, I have to start over and learn life all over again. New lessons of love, heartache, selflessness, confidence, and Faith.